In summer 2010, I started working on a new project titled City River. Its focus is on the river Isar on which the city of Munich, Germany is located. In former times, the river was of great economic importance for the city but today it serves as Munich’s largest area for recreation. Although the Isar was canalized and its banks were fixed in the 19th century, large sections of the river convey an impression of “wilderness” that is quite exceptional for an urban landscape. 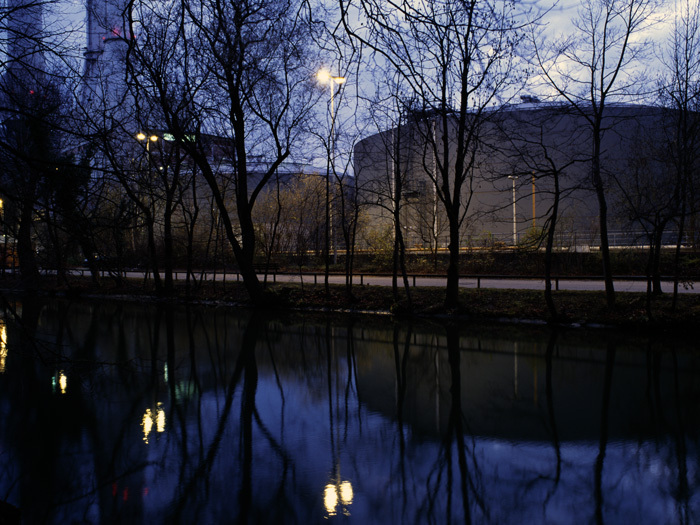 This is due to the particular geology of the Munich area as well as a public initiative to “re-naturalize” the Isar. City River is an ongoing exploration of the meaning of wilderness in the context of an urban landscape that has been used and rebuilt for many centuries. I am interested in the intersection of nature and culture and how people experience it.